Teams with their backs to the wall usually find something extra, and the Montreal Canadiens, constantly outplayed in the Eastern Conference Finals, found that special thing in the form of Rene Bourque, scoring a hat-trick including the two most important goals for his side as they beat the New York Rangers 7-4 to find themselves back in the series, still behind 3-2 but feeling completely different heading into game 6. The Canadiens were so dominant through the first half hour of the game that the Rangers had to take out Henriq Lundqvist, conceding four goals on 19 shots. His replacement, Cam Talbot, didn’t do much better, but there were a few moments there with the Rangers coming back from four goals down to make it a 4-4 game in the second period that it seemed like the change worked perfectly. Borque was the standout, from his beautiful finish in the second period to give the Canadiens a 3-1 lead to his exquisite and skillful finish at the end of the second period to put Montreal in the lead again, he shone and rose to the occasion with Montreal needing him the most, reaching 8 goals in the postseason after his third, coming from a smart assist by Dale Weise. Weise was later blindsided by John Moore, which resulted in an ejection and now might become a suspension, even if he wasn’t trying to hurt anyone for real. So while almost every Canadiens goal seemed to be a masterpiece of hockey or at least part of some brilliant play, the Rangers hustled back like they usually do. Some might call it luck, but there comes a point when its about tenacity, experience and hockey IQ than simple fortune switching sides. Rick Nash made it 4-2, beginning the rally as he simply shot the puck across the goal and it bounced off a stick into Tokarski’s net. Derek Stepan made it 4-3 by simply fighting near the goal after some nice Tokarski saves, with his defense failing him again. 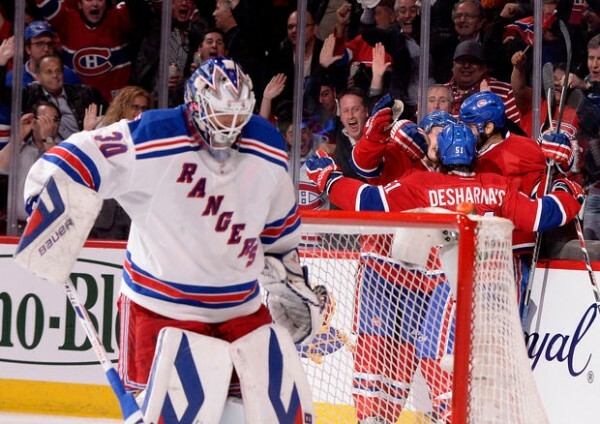 What changed this time for the Canadiens? Not Martin St. Louis heroics might be one explanation, not taking a single shot on goal in his 18 minutes on the ice, but it was about not backing down, unlike previous games, and also enjoying a terrible day from Lundqvist, who seemed to do so well in a building many talked about his previous losses there as they came back to haunt him once again with his team missing out on a chance to finish the series. 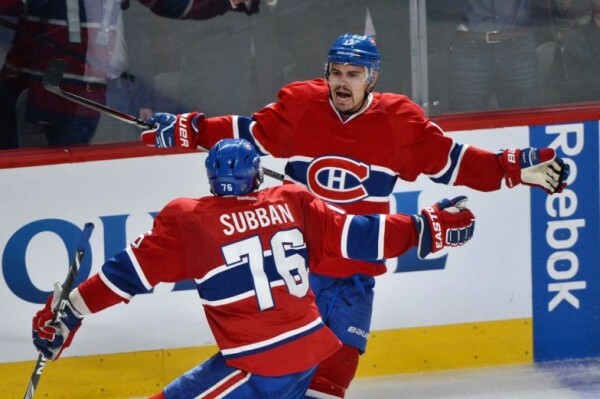 The fans finally saw a home win which meant plenty of hats being thrown on the ice, with things getting testy near the end, as Montreal were running away with the game. The Rangers aren’t surprising anyone with their tactics, trying to carry things over to game 6 in New York with some sort of mental edge, but this win might have changed the way Montreal see and feel about themselves going into another elimination one. I think you’re starting to see us playing Montreal Canadiens hockey. I don’t think you’ve really seen it in this series just yet. It was great to see a little taste of it. I think we still have more. I think we still have little things to work on. And it should be a fun one going back there.